The rugby world can come across as quite conservative, so it's always interesting to get a peek behind the curtain and see what really drives these women. And it turns out Juliet Short's road to the green jersey was far from obvious. 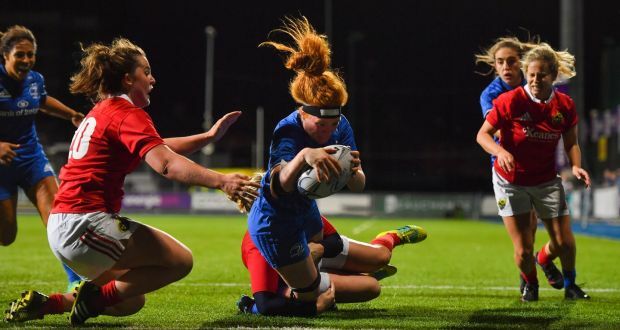 Women's rugby is very much evolving in Ireland, especially recently with the big emphasis on the Rugby 7s for the Olympics.That will have a knock-on effect on players' pathway into the game but for now, things are less clear-cut. Juliet said her place on the 15s team is long-time ambition realised, saying: "“I’m really excited about this, I have butterflies. It makes my heart pump just thinking about it. It’s all I’ve ever dreamt about, to represent my country – that’s been the dream." The stand-out in her playing career is a swerve into coaching in Brazil. Not a country with a huge rugby reputation but Juliet had a career-defining visit there, giving her knees and her perspective a break. She played full-time 7s Rugby in Ireland too, getting a look at the professional life. She said: " I had insight into that lifestyle with the Sevens which was great. It was different, you’ve got to be 100 per cent dedicated and committed. Unless you’ve experienced it, it’s hard to understand. The men’s teams have a great opportunity, but I would say a lot of people don’t understand or see the difficulties that professional sports people go through." Read more from Juliet Short here in the original interview. Follow Juliet Short on Twitter.